Leo Li, M.D. 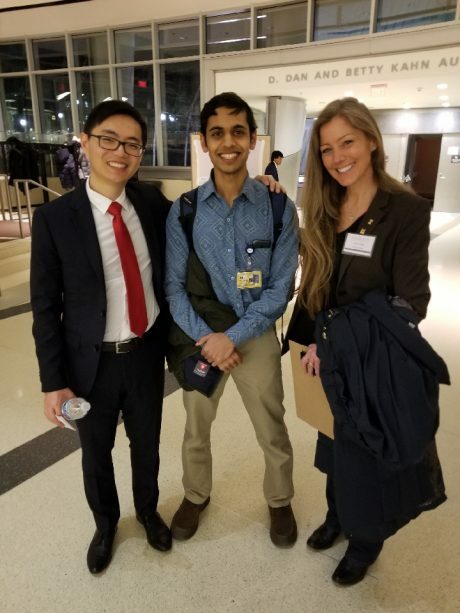 (left), spent years in the Innovation & Entrepreneurship Paths of Excellence and helped bring Sling Health, an educational organization that provides resources, training, and mentorship to teams of students and residents to further develop and help commercialize innovations, to the University of Michigan. He will begin his anesthesiology residency at UCLA this fall. We’ve all heard the saying “There is no ‘I’ in team.” This especially rings true in health care, where, to solve any complex problem affecting physicians or patients, professionals from different specialties combine their brainpower and work as a team. It’s this team synergy, and the idea of helping patients by bridging the gap between engineers and clinicians, that drove Leo Li, M.D., 27, to become an anesthesiologist and find ways to help people in the clinical setting. A native of Naperville, Ill., Leo recently graduated from University of Michigan Medical School. But before he walked across the stage this spring, he spent much of his time learning the expanding culture of commercialization in biomedical research in the Path of Excellence (PoE) Innovation and Entrepreneurship program. Because this was somewhat uncharted territory for the medical student, the resources in the program gave him the tools he needed to successfully embark on the tricky waters of innovation. “It’s nice to have some structure when you are learning something new,” he added. He saw the value of this program and thought that there was much more to be done in the realm of innovation at U-M. During his second year as a medical student, Leo helped bring Sling Health, a student-led educational organization that provides resources, training, and mentorship to teams of students and residents to further develop and help commercialize innovations, to the university. He got a first glimpse into the team-based innovation program as a biomedical engineering student at Washington University in St. Louis—where Sling Health originated. It was something that he thought would be useful at a strong medical school like U-M. 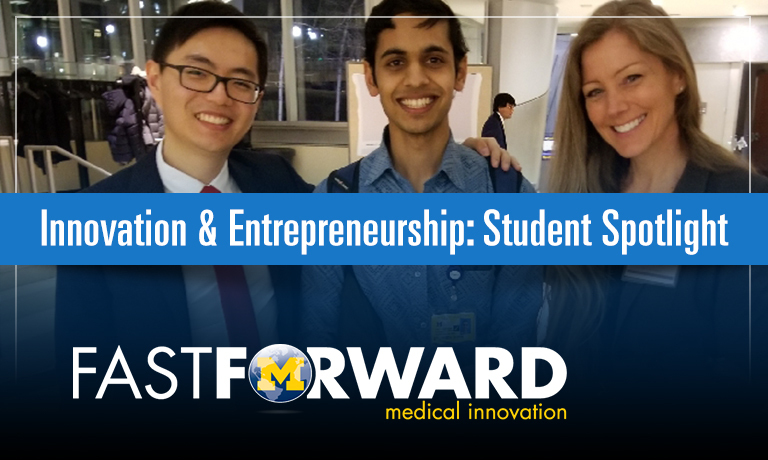 In addition to his experience with PoE and Sling Health, Leo joined Fast Forward Medical Innovation in summer 2017 for his Impact Semester, which provides students with a chance to get in-depth experience in an area of interest. During his time, he worked closely with Hirak Pirak, Ph.D., Monroe-Brown biomedical seed fund manager, on due diligence and analysis for the fund, as well as PoE coordinator Margarita Hernandez, Ph.D., on programming for PoE, including helping develop a clinical needs database and facilitating internships for students. Before attending college, Leo didn’t see set out to become a doctor. It was his experience as an undergraduate student– working in the neural engineering laboratory and seeing the level of work being done in the lab– that initially piqued his interest in the medical field. “After interacting with all of the smart people and seeing the difference they were trying to make in people’s lives, I thought it would be worthwhile to combine engineering with medicine,” Leo said. And that’s exactly what he has done, putting his specialty of anesthesiology to good use. For nearly a year, he has worked alongside a small team of students to create a new device that would ultimately help the physician help the patient during surgery. He will continue work on the device, acting as a consultant through the path to commercialization, during his upcoming anesthesiology residency at the University of California at Los Angeles.